I’ve always felt marking to be an important yet time consuming aspect of the job. 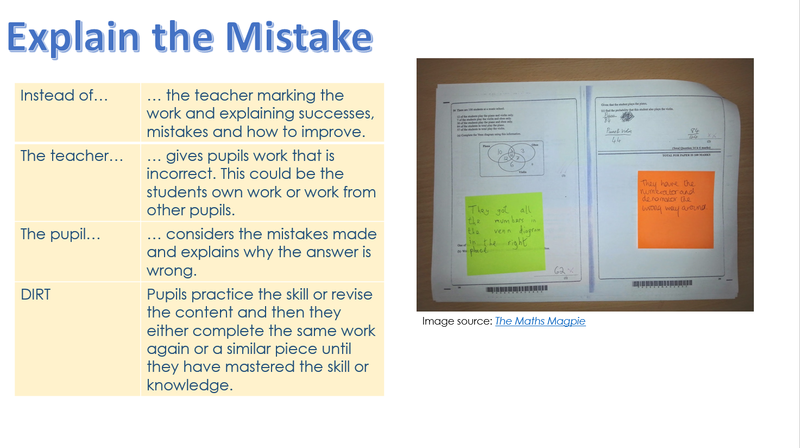 Throughout my NQT year I felt that my marking went unnoticed by the students most of the time; they just wanted to know what grade they got and didn’t take notice of the advice they were given. 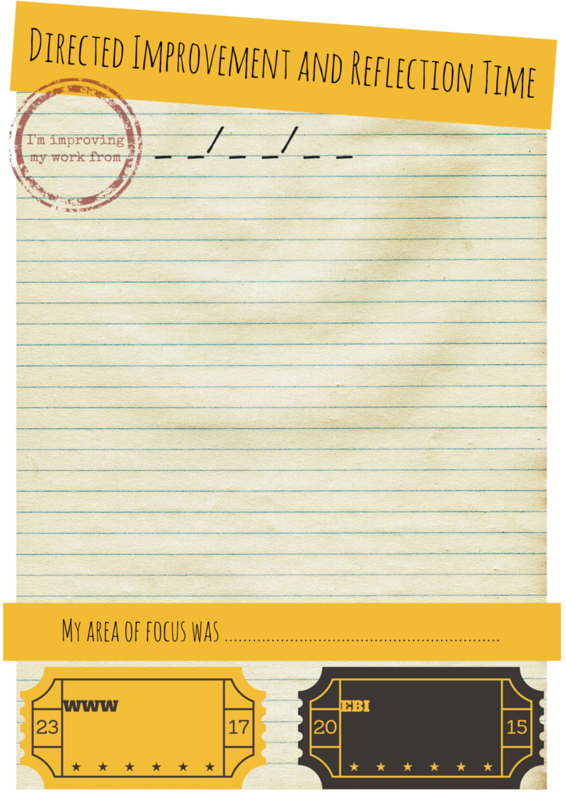 A lot has changed since then and I’ve realised the power of meaningful feedback. 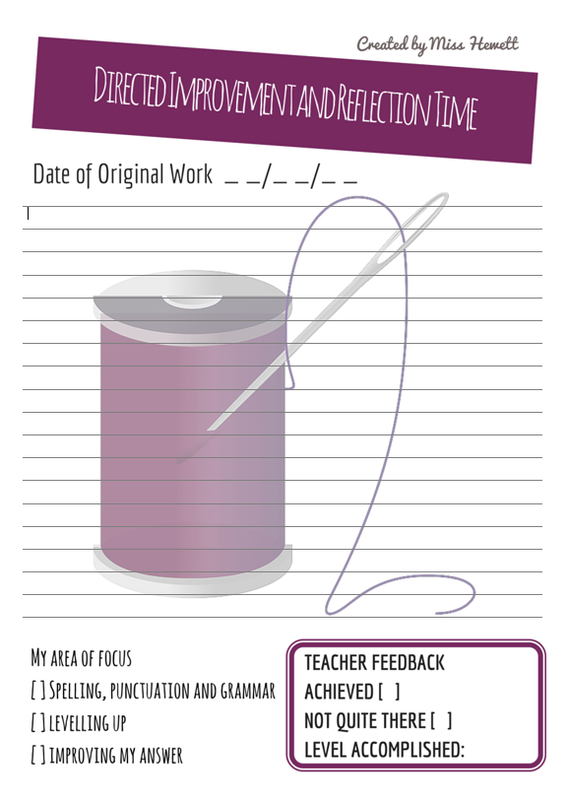 This year I’ve worked on engaging learners in the feedback process by developing meaningful self and peer assessment as well as incorporating Directed Improvement and Reflection Time into the planning of my schemes of work. 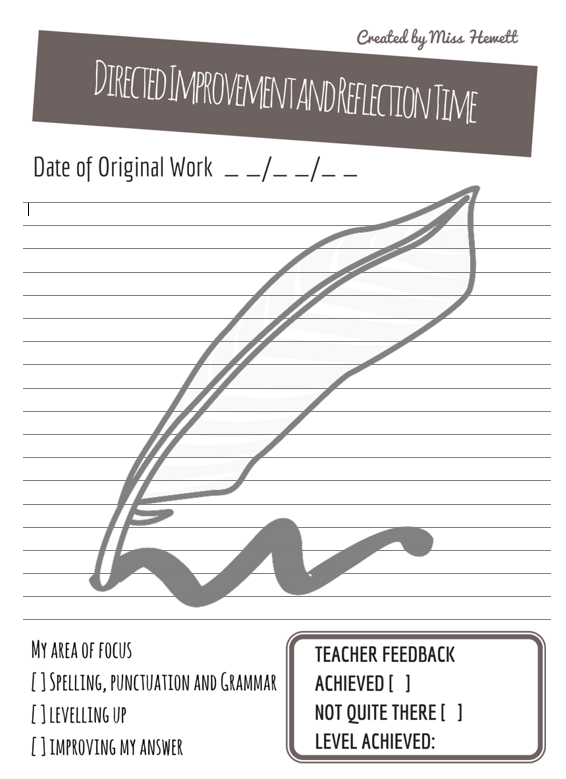 I feel if we spend the time marking, it might as well be beneficial and productive for the students; it should have an impact and encourage development of their work. 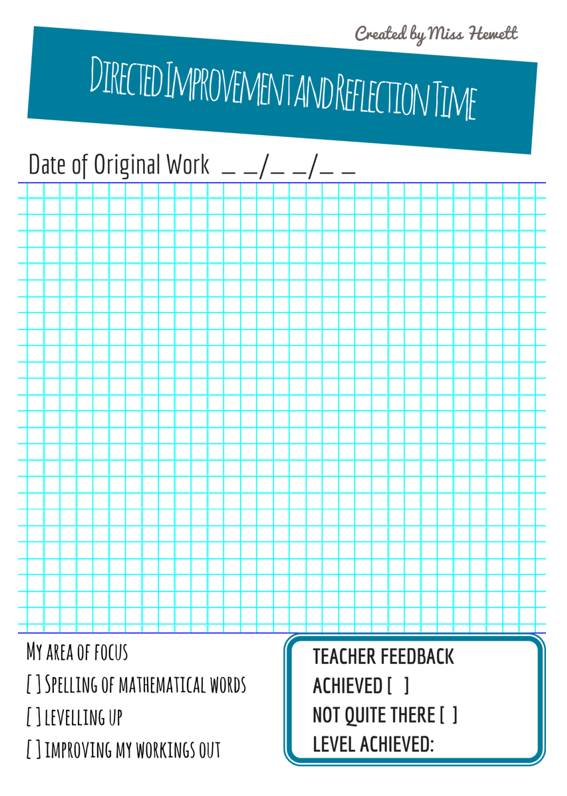 Therefore a few months ago I set about creating some DIRT sheets, which I’ve used with my classes in a number of ways. 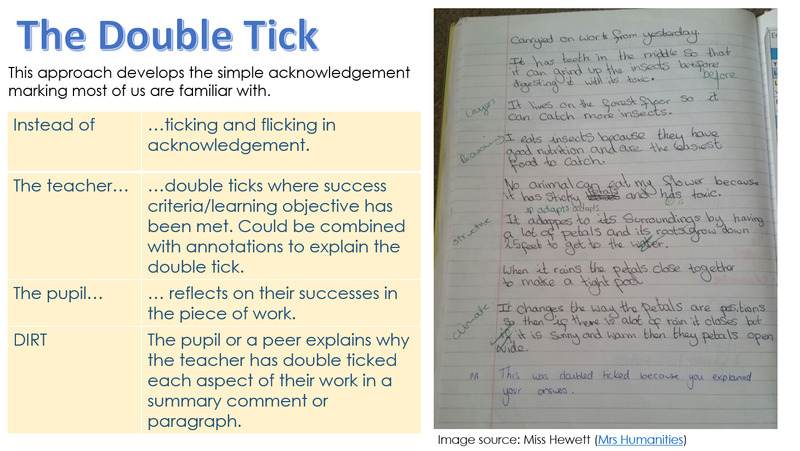 For instance after GCSE students completed an exam question, they were given feedback and re-wrote their answer to the same question – it was quite clear when marking it the second time around that the feedback had been beneficial and they’d progress. 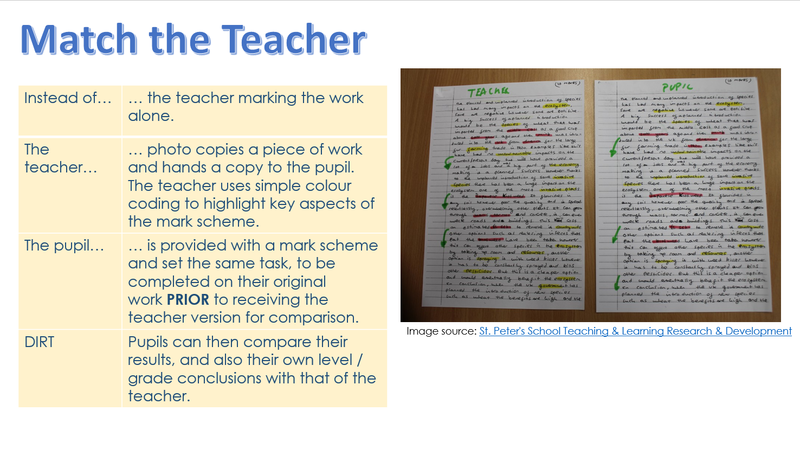 Another way I’ve used them has been after KS3 pupils have created a piece of extended writing, pupils were given feedback and then had the choice to either improve their SPaG, to level up or to quite simply improve their answer. 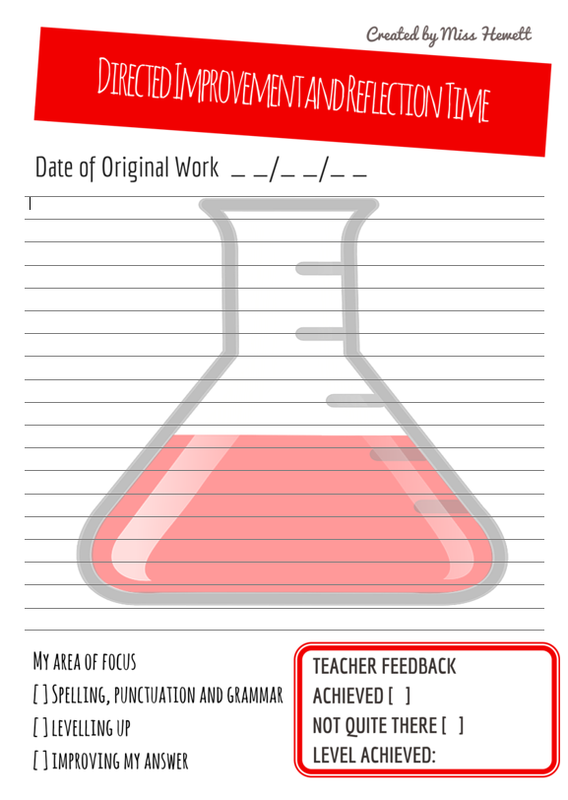 Since creating my original DIRT sheets which have been used across the school, as well as my departmental DIRT display I’ve become more and more interested in marking and feedback. I was recently invited to take part in the work scrutiny which I found really insightful and have since been researching additional techniques. 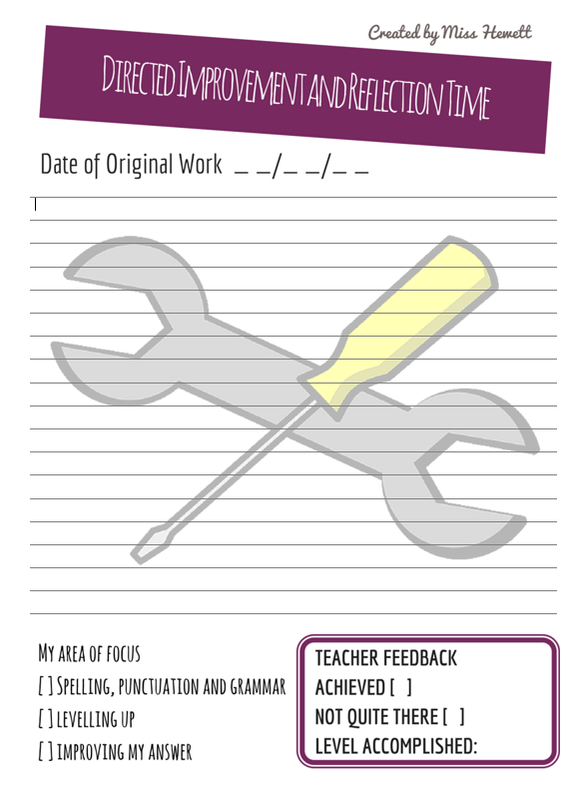 Whilst I was thinking about and researching marking and feedback, I decided to make a few subject specific DIRT sheets for other staff to use. Can you work out the subjects? 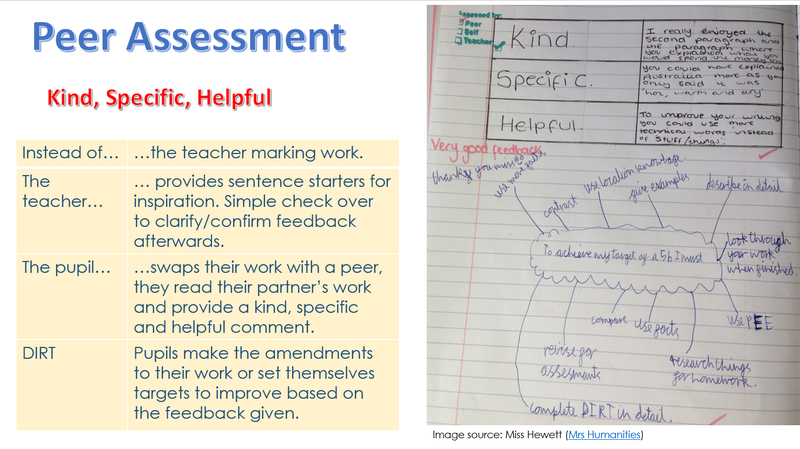 The idea is that once learners have read and taken on board the feedback in which they are given, they then improve or level up their work on a DIRT sheet. I’ve found they help to make the improvements stand out in their books and for some reason they help to improve presentation, which is never a bad thing. 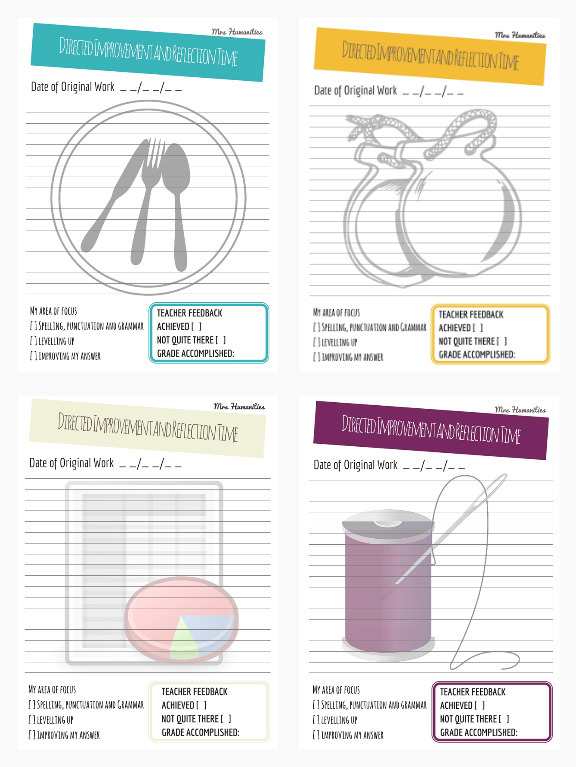 If you’d like to use my DIRT sheets, you can find them here. 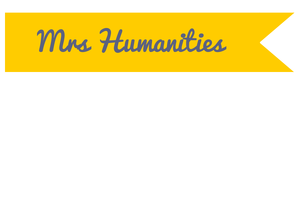 Categories: AFL, KS3, Resources | Tags: AFL, DIRT, Resources | Permalink. 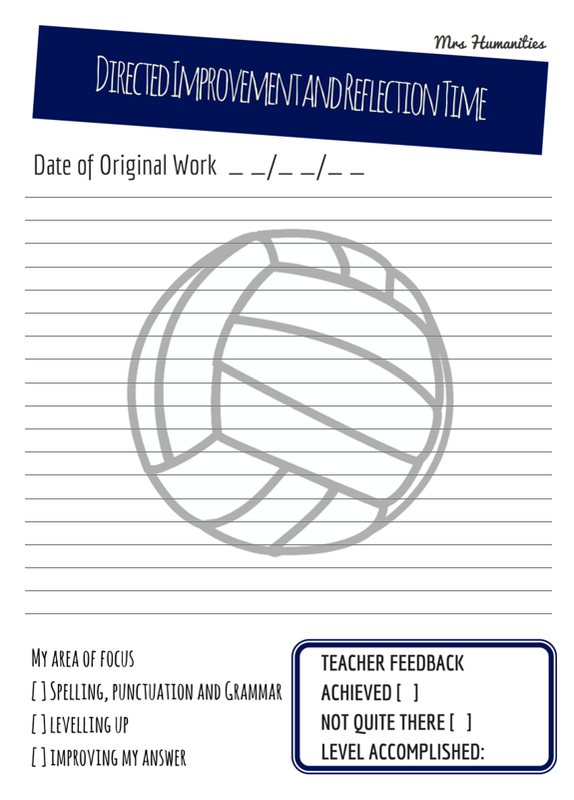 One approach to marking that my school is keen on is the provision of constructive feedback and Directed Improvement and Reflection Time (DIRT). I’ve always marked in detail, but in my previous school a large number of students would fail to read it and act upon it; Therefore it often felt like a waste of my time spending 3-4 hours marking a set of 30-36 books a night for it not to be read. 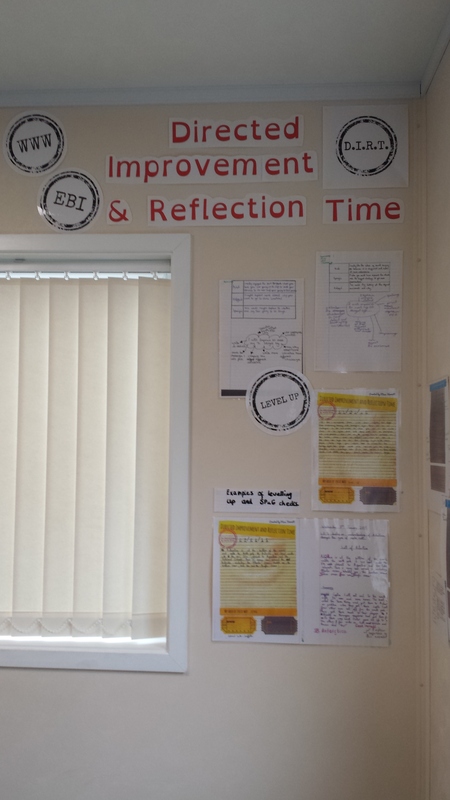 I was pleased to find that my new school was keen to use DIRT as a means of engaging learners in their progress and demonstrating their achievements over time. Since I’m planning the Schemes of Work from scratch it means I can ensure there is time within them to carry out DIRT within lessons. Assessments take place in the 2-3 weeks before the end of term due to data submission. This usually gives us time for one DIRT session before assessments. 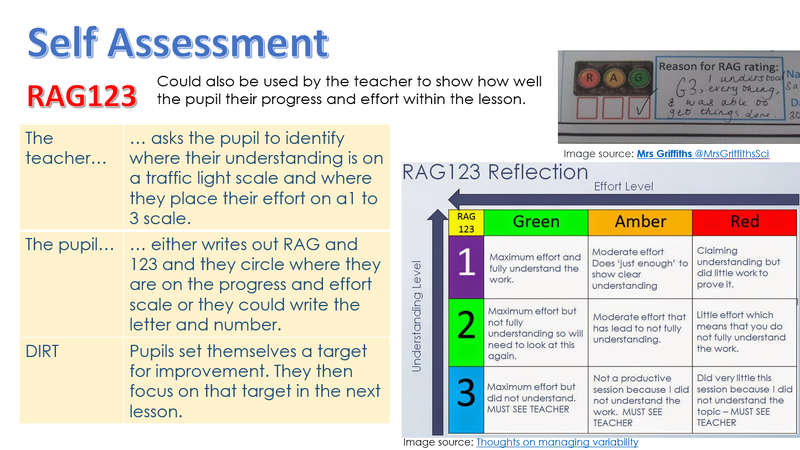 Usually pupils respond to feedback in their books, set personal targets and consider what skills they need to focus on for the rest of the term based upon the progress displayed on their level ladders. Time well spent however it is the week after assessments when DIRT really comes into play within my department. 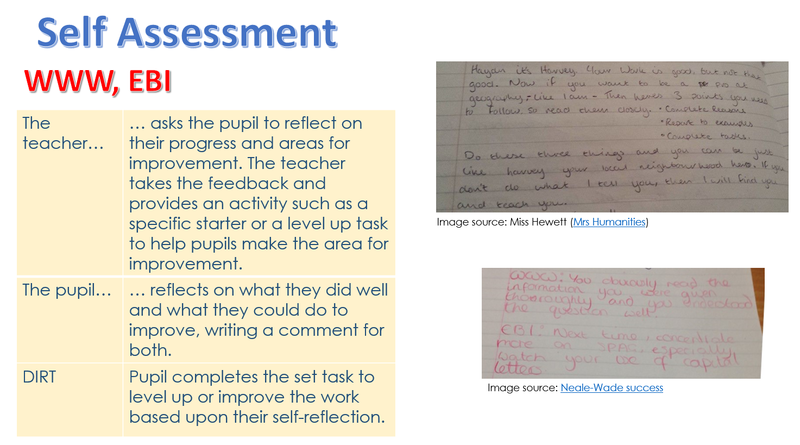 During this week pupils spend almost an entire lesson self-assessing, peer assessing and responding to feedback surrounding an individual piece of work from the term, whether it be the assessment they completed or classwork from a previous point. They look at how to improve work and do it. It is becoming evident that after 2 terms of this they are now applying their skills in the rest of the Humanities lessons. 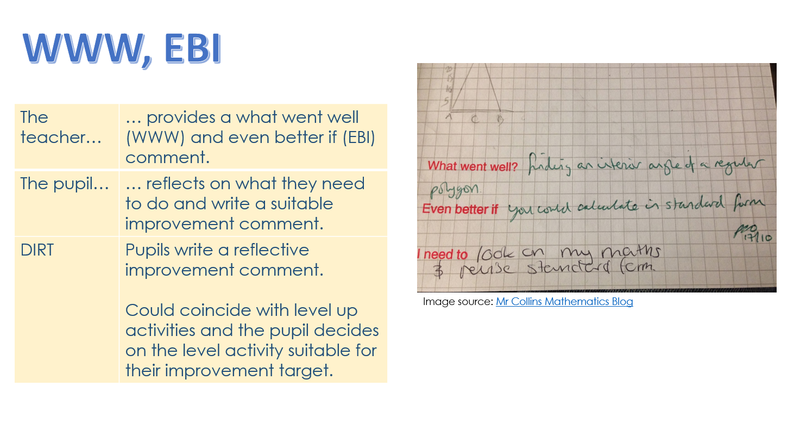 Considering what they need to do to improve and how they can progress, the level ladders are no longer a sheet on the front of their books telling them what skills and knowledge they need to meet their target level this term. They are referring to them in lessons, asking what they need to do to improve their work and considering where they are on the ladder. It’s pleasing to see, particularly with one of the hardest year 8 class. Getting them involved in DIRT has been a struggle, but we are getting there. 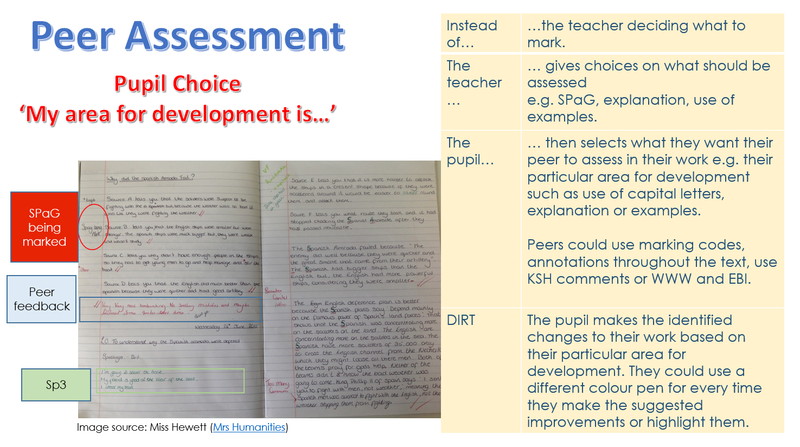 At the end of last term we spent an entire lesson looking at peer assessing a piece of work from another group. They boxed text that met success criteria, they highlighted key words and then gave kind, specific and helpful feedback. This helped them to work out what they need to do to get out of the level 3-4 brackets and in to level 5. I hope they will apply it to their work this term. Firstly I wanted pupil’s responses and improvements to be more than a line or two. 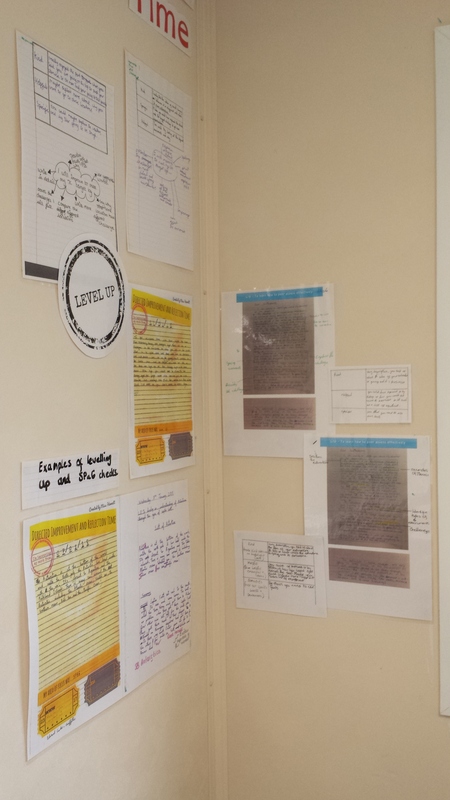 Secondly I wanted something to make the improvements pupils made to their work stand out. 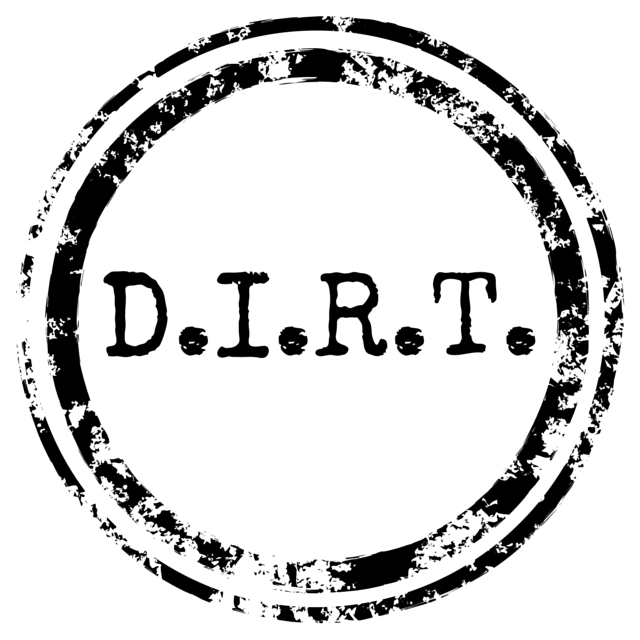 …so I created and introduced these D.I.R.T sheets. I have to say I’ve been flabbergasted at the response from students and staff. They have made such a difference to the effort put into improving classwork during D.I.R.T during term 3. A few misinterpreted the instructions and literally wrote what they needed to do to improve rather than doing it, but we can work on that. Whilst after seeing my Levelling Up strategy my during a work scrutiny, my line manager asked me to share my D.I.R.T sheets and Level Up idea with staff. 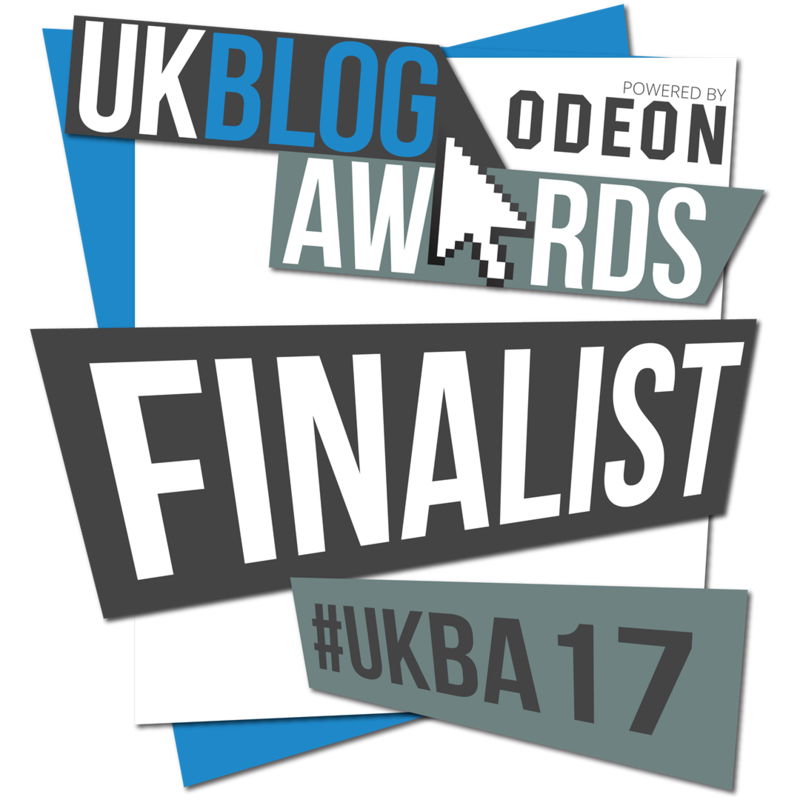 They’ve been very complimentary of it and I’ve even witnessed a number of teachers using it in their classrooms. It’s weird to see but great because as a school we have a consistent approach. 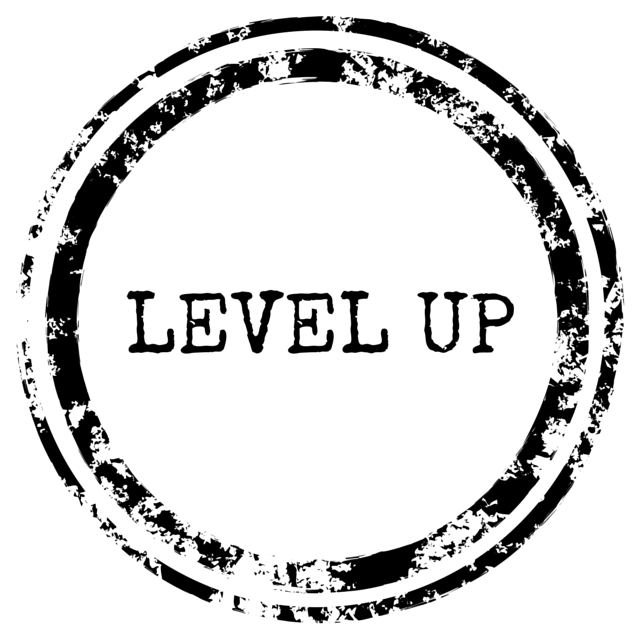 I came up with the idea of “Levelling Up” over Christmas. 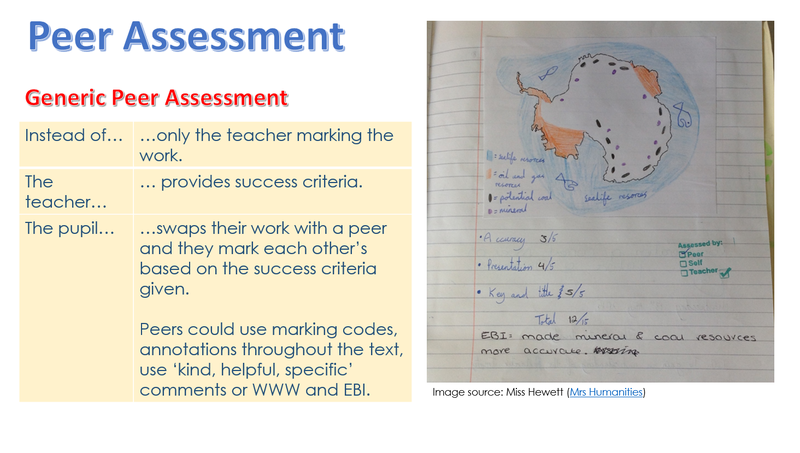 Prior to that I had been writing questions in pupils books that would encourage them to work at their expected level for the current Progress Point if they weren’t doing so. I found however that pupils were not answering these questions in full sentences or to the best of their ability. So I decided to start using “Levelling Up”. 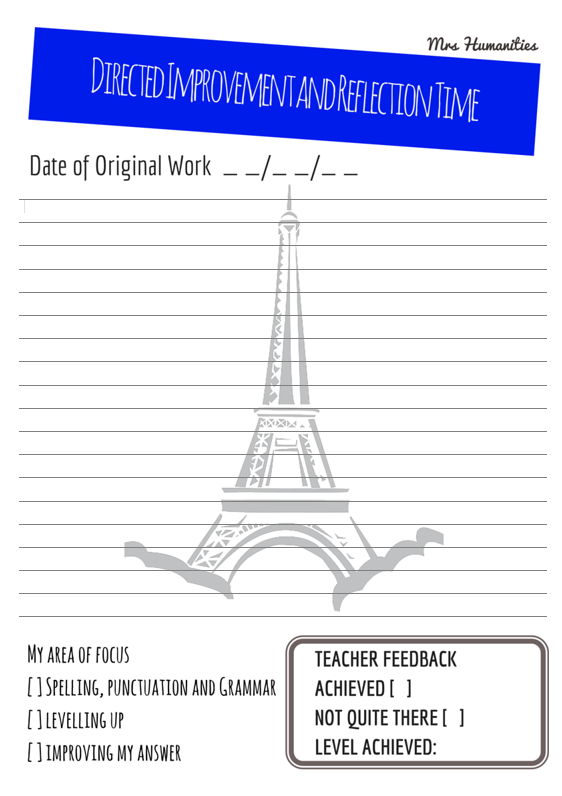 Last term in order to do this I looked at the level ladders and printed off a question or task that would help students meet their expected target grades. Based upon the work in their book I decided on an appropriate Level Up task and glued it in. 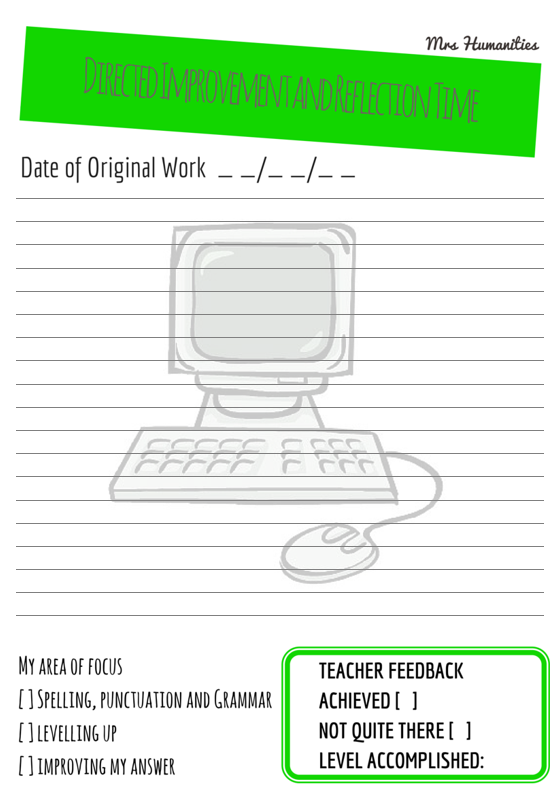 Those that had one of these tasks or questions in their book had to work on it during the mid-term D.I.R.T session. 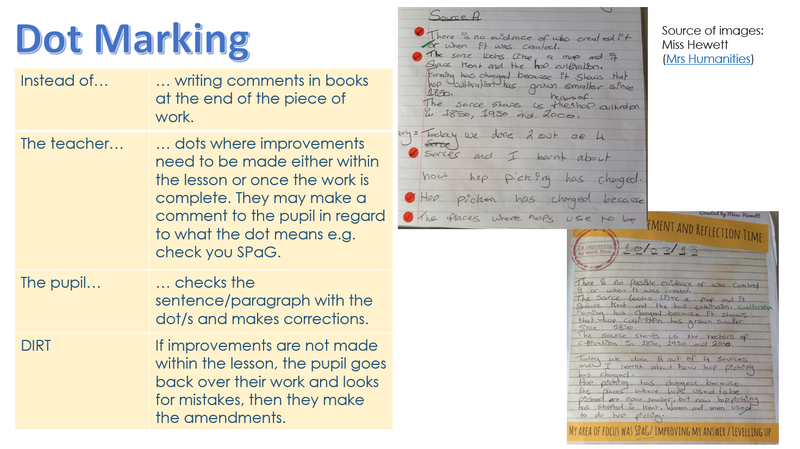 If pupils were meeting or exceeding their expected progress point grade then they had a choice of tasks such as improving their spelling, punctuation and grammar (SPaG) in a piece of work, generally just improving an answer they’ve written or they could choose a piece of criteria from their level ladder to level up further. 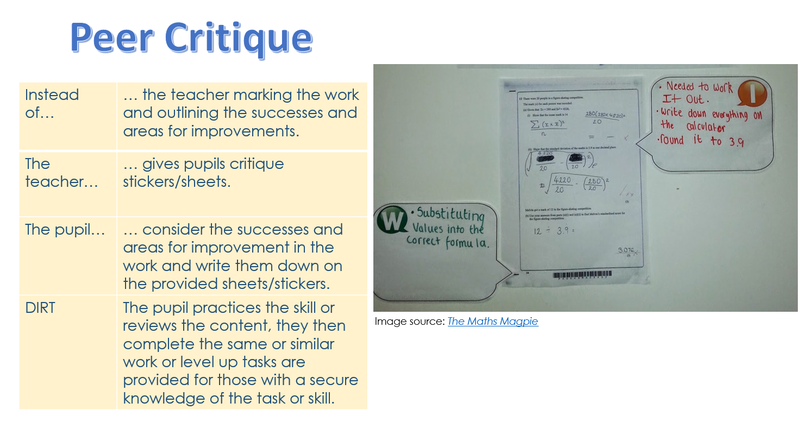 One – I want to show off excellent examples of the pupil’s work to demonstrate to the rest what I am looking for from self-assessment, peer-assessment and D.I.R.T. 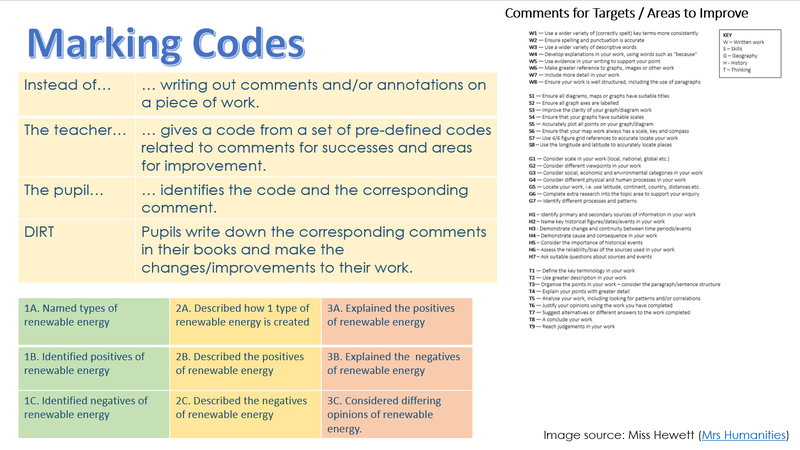 Two – We are expecting the dreaded Ofsted any time soon, so I wanted to make it explicit to anyone that walks into the room that pupils respond and improve based upon feedback in my classroom. You know, just in case. I created these pieces for display over the half term and have used them in a number of PowerPoints and resources I’ve created for next term. Once I am comfortable that the pupils understand their meanings and purpose within a lesson I’ll share them with other members of staff. Do you have D.I.R.T display? Would love to see it. Hope this is of inspiration. Categories: Displays | Tags: AFL, DIRT, Displays | Permalink. After 3 weeks of working on it here and there since the beginning of term, the Interactive Plenary Board is finally complete. I’m really pleased with the results plus the kids are enjoying it so far. I now have peer assessment guidance and have identified what WWW and EBI stands for as no matter how many times we do it somebody ALWAYS has to ask what it means. 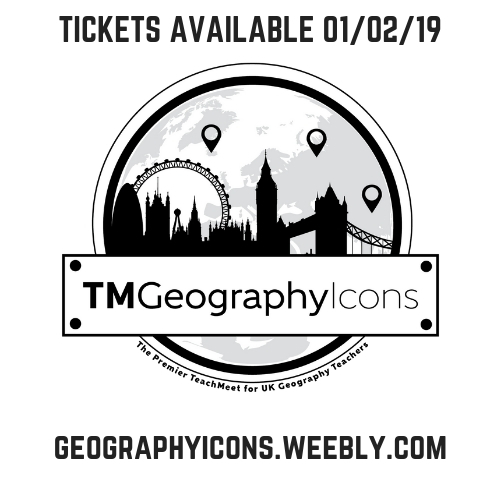 I’ve also printed off smaller versions of the tickets with WWW and EBI guidance on the back to support learners in writing appropriate feedback. 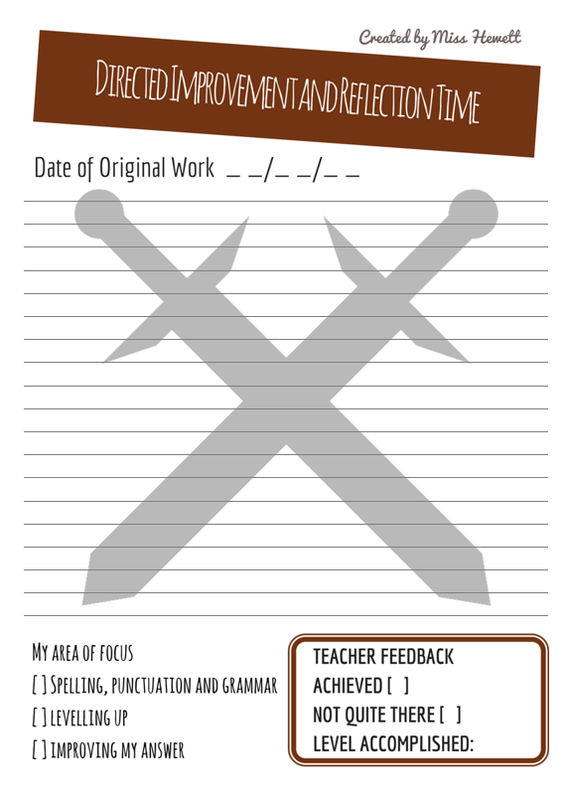 So far I’ve only really been able to use it with year 8 since year 7 are currently working on their Dangerous World project; they’ve been completing Exit Tickets each lesson to demonstrate their understanding so far. Year 8 however are engaging with the activities and particularly like the social media based ‘Assess’ activities. Not sure if that is a good or bad thing however! Since I only see my classes twice a week so far reminding them of the new procedures when they finish the main part of the lesson has been important. Encouraging them to choose a suitable task for the time left e.g if they’ve 10 minutes to go they should choose an ‘Extend’ task; whereas if they have 5 minutes they should pick an ‘Assess’ task or roll a plenary to decide on the plenary task. 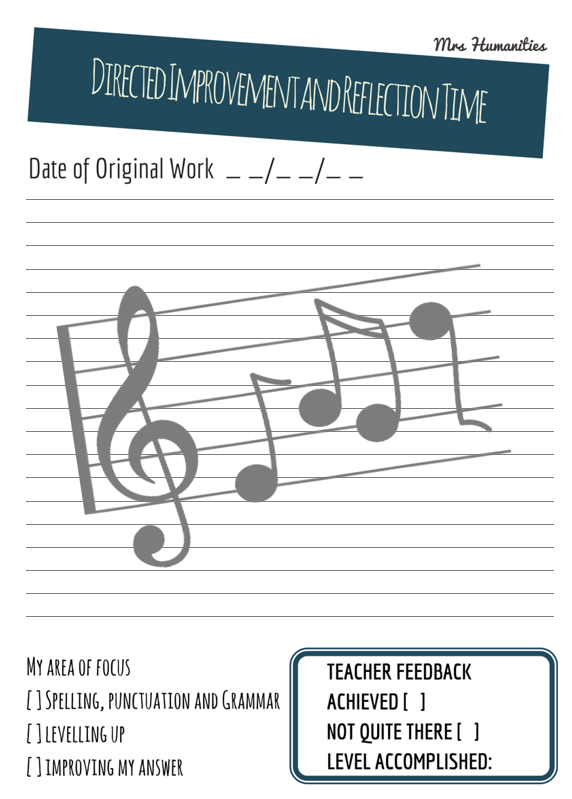 The ‘Reflect’ tasks I feel need more direction, so I’ll be the one to decide when they do these, once they have practised them a number of times they should hopefully be able to recognise how long they need and choose accordingly. 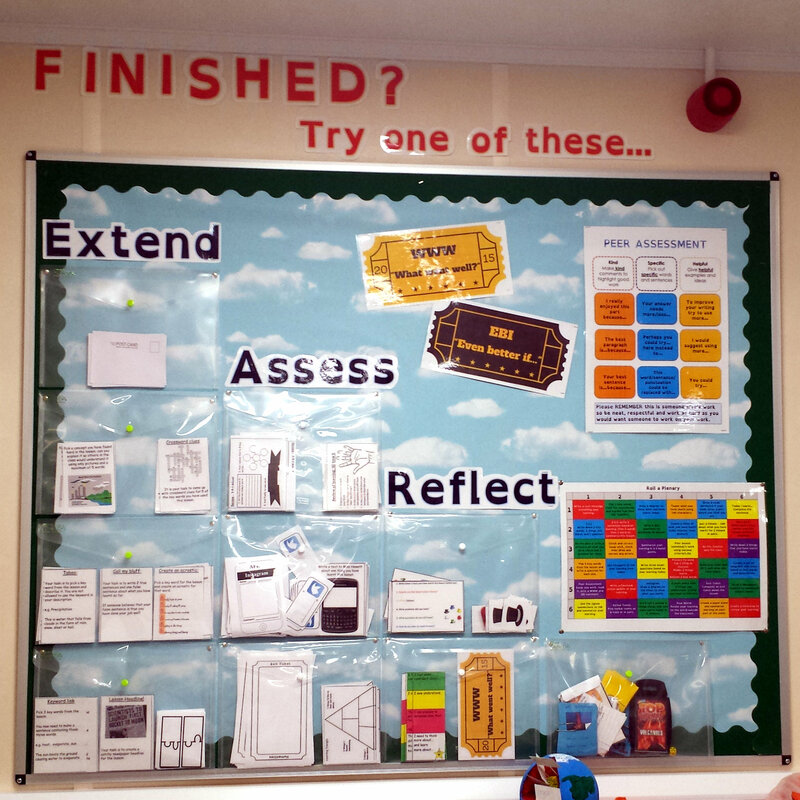 Under the roll a plenary board, there is a folder with additional activities such as key word and definition match up games and top trumps. These are for pupils to practice what they are learning, most of which have been created by the kids as part of their homework and sometimes classwork. 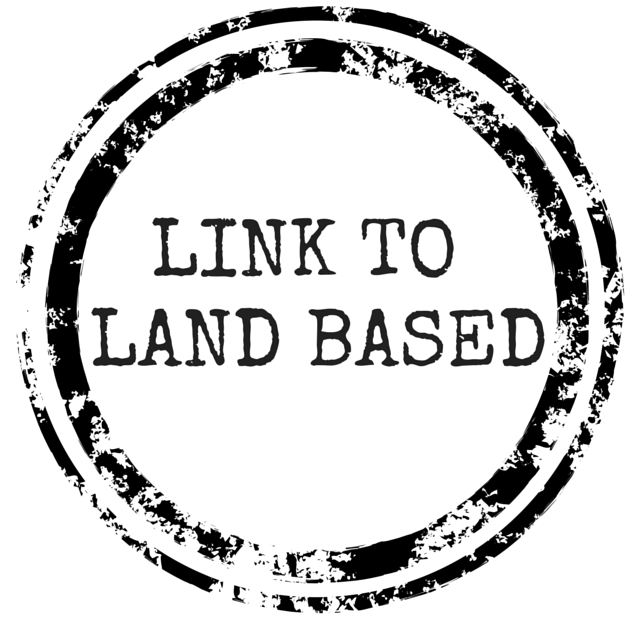 You can find out more about where some of the resources came from here and here. 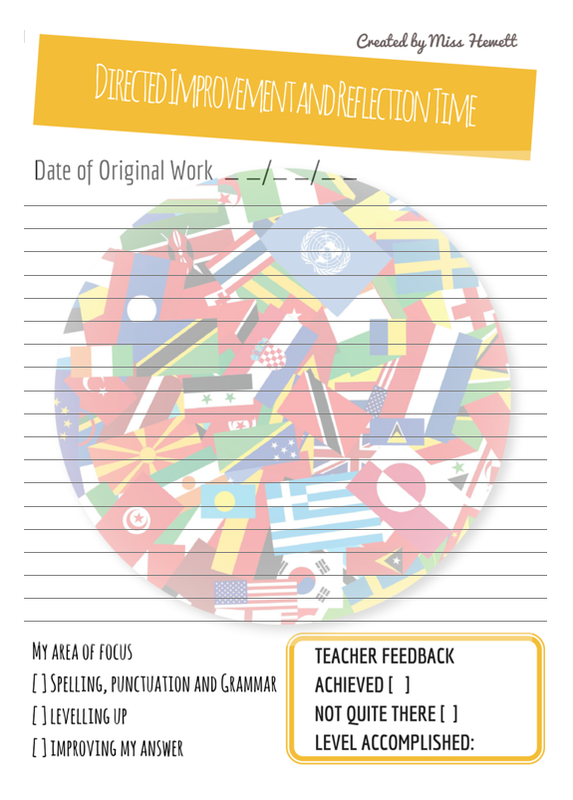 Categories: AFL, Displays, KS3 | Tags: Active Learning, AFL, Assess, DIRT, Displays, extend, reflect, reflection | Permalink.